"Parkside", en fritliggende moderniseret 1930 bungalow i den lille familie badeby Perranporth, Cornwall. Præcis 6 minutters gang til den fremragende surfing strand, en stor strand med 2 miles af gyldne sand. En 5 minutters gang til byerne restauranter, cafeer, kroer og butikker, der grænser op til stranden. 5 miles til St Agnes & 6 miles til Newquay. Den bungalow er 1 af 5 i en roligere blind vej lane en kort gåtur fra den store park (tennisbaner, græsarealer, målstolper, gynger osv). Attraktiv udsigt fra haven, stue og soveværelse 1 over Perranporth og det omkringliggende landskab. Perranporth tilbyder en roligere alternativ til de mere travle feriested Newquay. God størrelse forhave. Front gårdhave med siddepladser til at nyde udsigten. Soveværelse 1 har 1 dobbeltseng og TV. Soveværelse 2 har 1 dobbeltseng. Soveværelse 3 har 2 enkeltsenge. Stue / spisestue med T. V. & video og åben ild. Køkken med el-komfur, el-komfur enhed, mikroovn og køleskab. Badeværelse med bad & hovedbruser. Separat toilet. Sengetøj inkluderet. £ 1 elmåler. Kul brand i lounge (OKT-APR - brændstof til kostpris) og også elvarme. Termostatstyret el-væg varmelegeme i soveværelset 1 og også elektriske varmeapparater i de andre værelser. Ejer fra vejen foran parkering bay til 2 biler. Ingen kæledyr. Badeværelse med bad & hovedbruser. Separat toilet. Noter om indkvartering: Sengetøj inkluderet. £ 1 elmåler. Kul brand i lounge (OKT-APR - brændstof til kostpris) og også elvarme. Termostatstyret el væg varmelegeme i soveværelset 1 og også elektriske varmeapparater i de andre værelser. Own fra vejen foran parkering bay til 2 biler. Ingen husdyr. Uden for: God størrelse forhave. Front gårdhave med siddepladser til at nyde udsigten. Rengøring / håndklæder / linned / stuepige service: Sengetøj inkl. On arrival noticed a strong 'musty' smell in the rooms. The childrens room was particularly musty with mould behind the beds and any clothing left in the drawers had an awful smell and couldn't be worn. Bottoms had fallen out of the drawers and one was completely broken. Bath tap would not turn on and was seized solid. A plumber came and said tap was badly corroded and replaced it. Beds and sofas were completely worn out and the sofa was filthy. Carpets also smelly. Really think the owner should spend a week in this bungalow before renting it out as a holiday home as it is in dire need of a refurb and damp proofing. Very disappointed. I was disappointed with the comments given. The cottage is well looked after as indicated by the fact that a plumber was called out right away to fix the bath tap. I have contacted the cleaner, cottage owner and the two previous holidaymakers and it does appear that the holidaymakers comments are unfounded and we don't know why the holidaymaker chose to make these inappropriate comments. Most visitors to the bungalow believe the cottage to be excellent value, enjoy their stay, and about a third of bookings are repeat bookings. 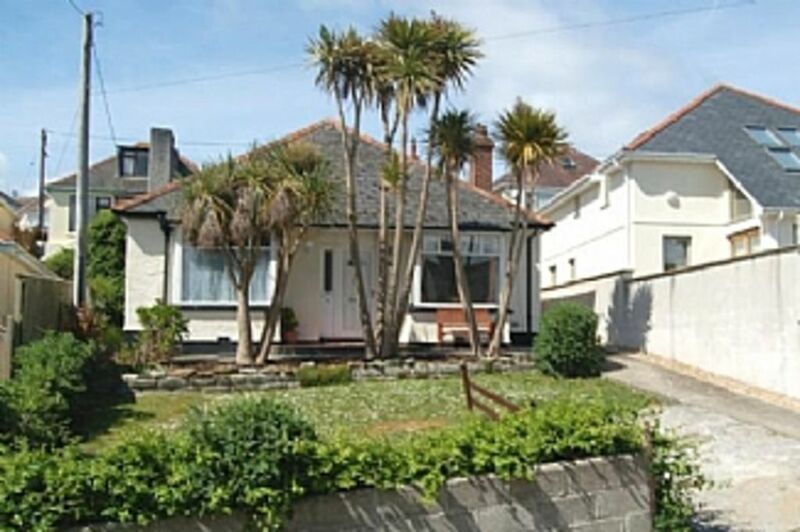 second time at this bungalow, every thing you need is there, for a quiet holiday, plenty of room for a family, just of the main thoroughfare on its own, yet near enough to walk to shops,pubs etc. only drawbacks are not much garden at rear of property, plus cul.de.sac could do with tarmac re doing.other than that, we will return again,hopefully 2016. We have spent a number of holidays in a caravan at Perranporth, but this year we decided to rent a bungalow, and were so glad we did. The location was perfect, just a short stroll down a not-too-steep hill, into Perranporth itself, with its host of pubs, cafes and restaurants, all providing excellent food and drink. I especially recommend the fish and chip shop on the main street, the food is perfect! The bungalow itself was very reasonably priced for 4 adults, and was spotlessly clean when we arrived. There may not be a Jacuzzi or hot tub, but who needs them? It provided us with a comfortable, clean base from which to enjoy our holiday, and lovely clean beds to fall in to at the end of the day. Perranporth beach is the perfect spot to enjoy a spot of surfing, a stroll in the early morning sunshine, or just to sit back and relax on, and all this just a short stroll from the bungalow. I would heartily recommend this property to anyone who is looking for a nice, relaxing holiday, in comfortable, reasonably-priced accommodation. All being well, we will be back again next year, and hopefully in the same accommodation. 6 minutters gang ned til hovedstranden. Kort gåtur til Perranporth butikker. Cafeer mv. Booking Notes: Part week bookings are welcome but you have to come between the Saturday to Saturday changeover period, being that the cottage is cleaned on the Saturday. .